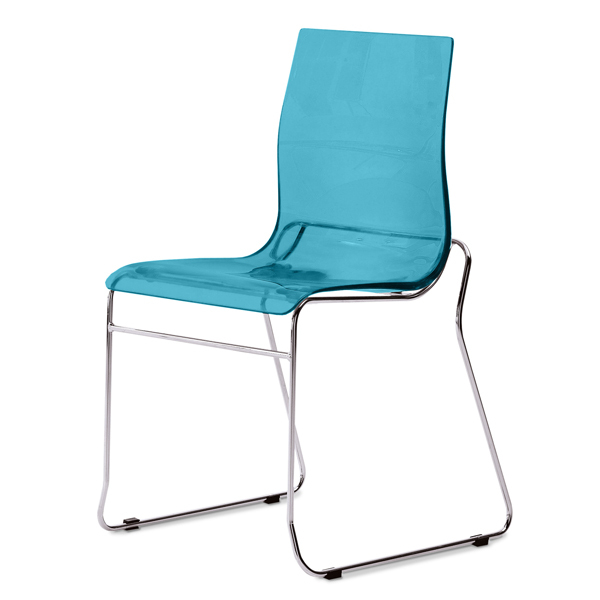 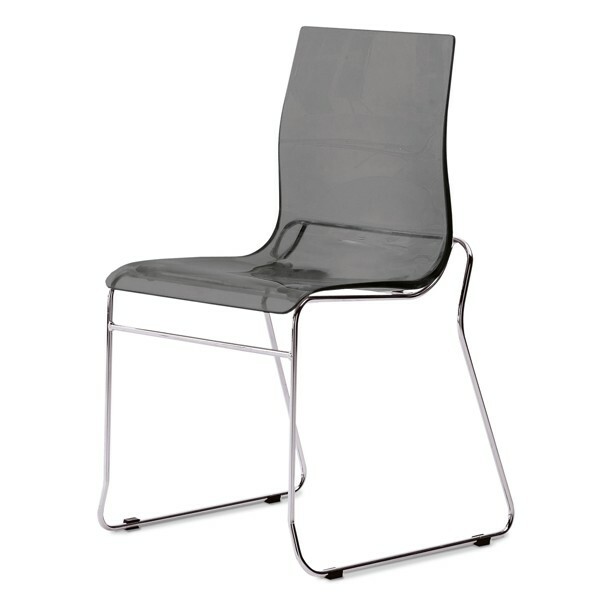 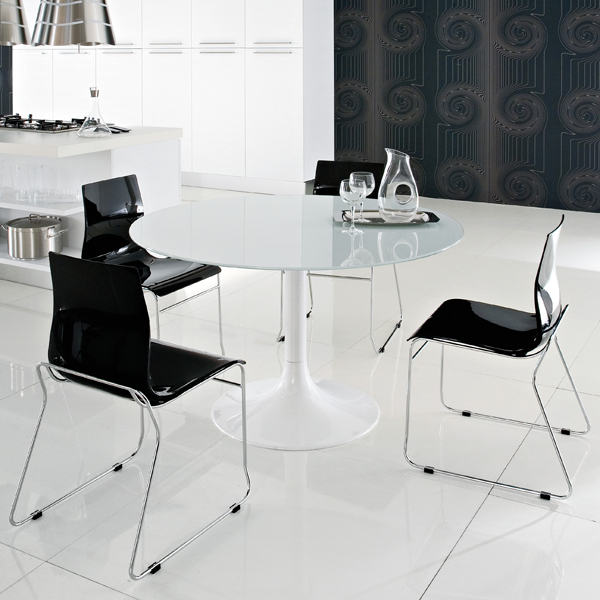 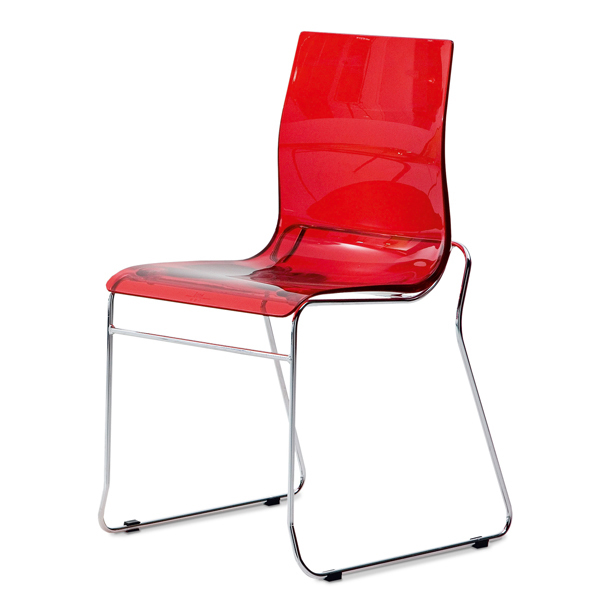 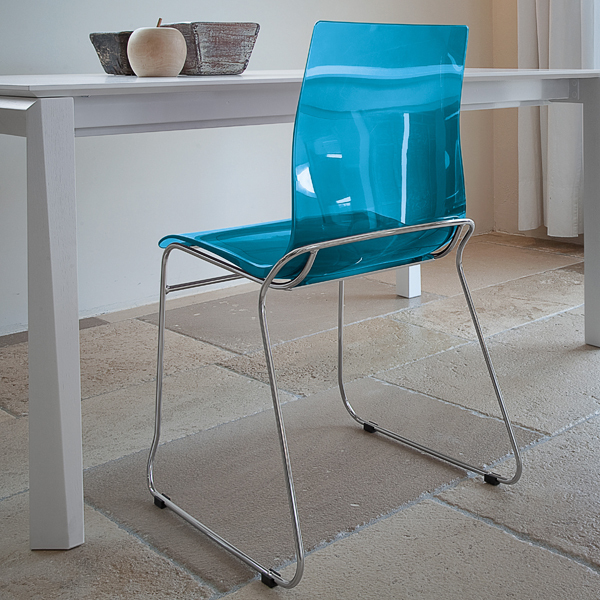 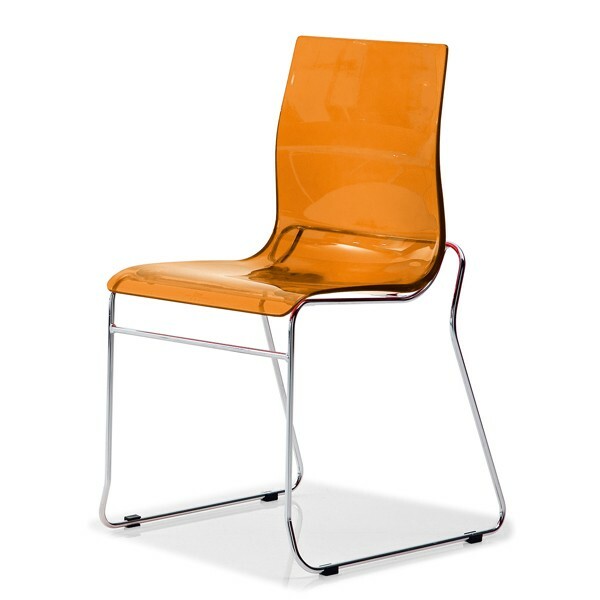 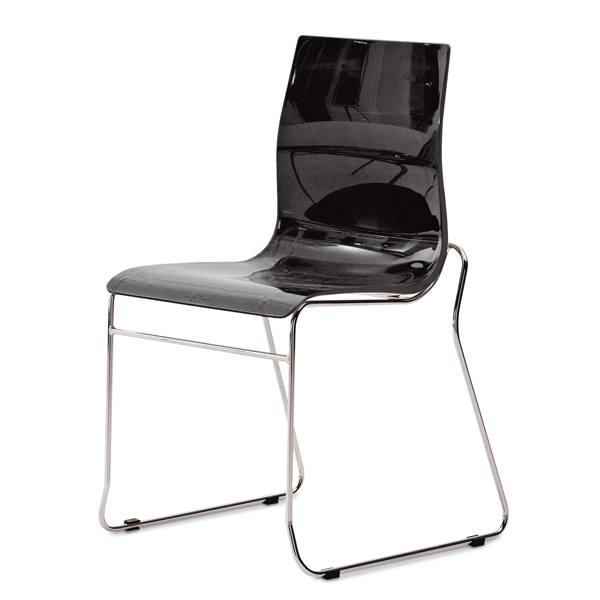 A stylish modern dining chair with an acrylic seat and steel tube sled style legs with a chromed finish. 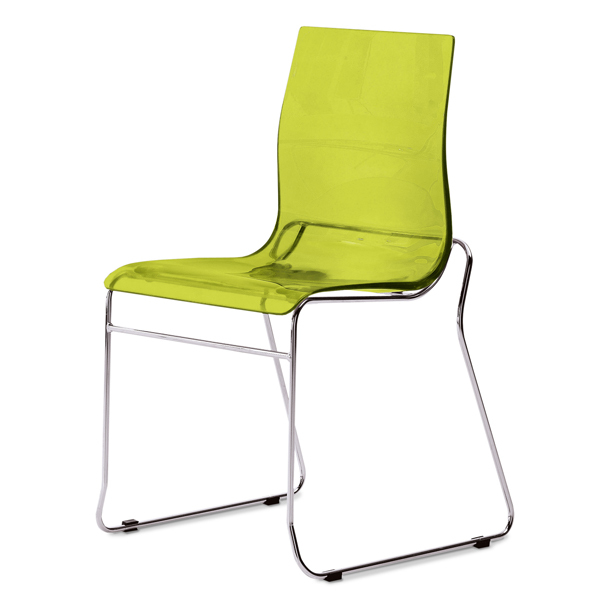 Stackable up to 4 chairs. 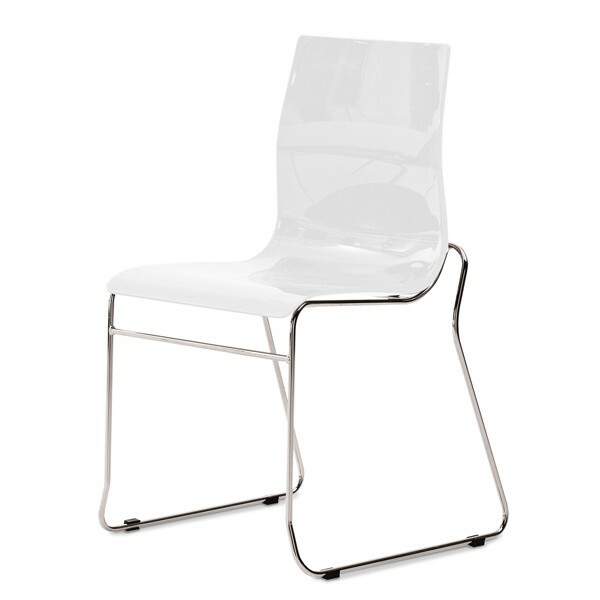 Other leg styles are also available, see related products below.